This small trough dated 1884 is a bit of mystery, there seems to be 6 hole above the date, but I can’t think why. This Primitive Methodist chapel dates from 1870 and was just across the road from the 1876 Wesleyan chapel. Sadly this building is currently disused, vintage photos of it are uncommon as most seem to be looking past it in both directions. 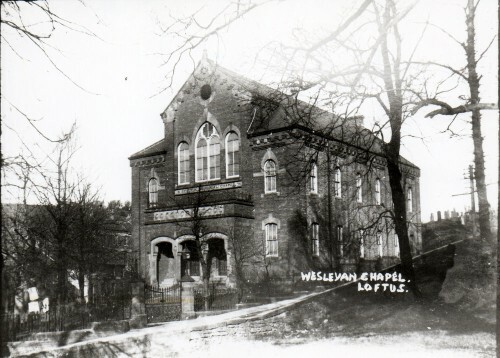 Newton Memorial Chapel was built in 1876, it was named after the Reverand Robert Newton of Roxby (1780 – 1854) who was a travelling Wesleyan minister. 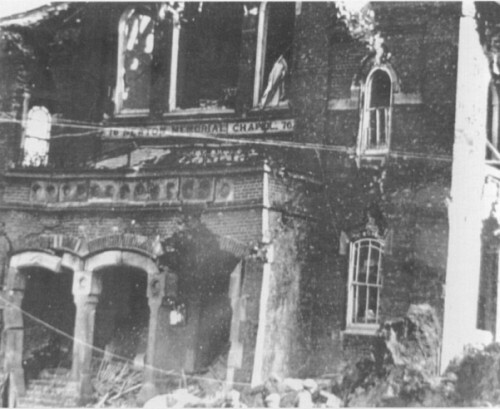 The chapel was hit by a German bomb on Saturday March 15, 1941. A house stands on the site now, but parts of the graveyard can still be seen on the land behind that. Mayor Olwyn Peters unveiled the sculpture on Wednesday 18th April. Designed by artist Steve Tomlinson of Stokesley and cast by Geoff Robinson in Liverton Mines. Against the neighbouring buildings are a number of fragments of carved masonry from the site. Loftus War Memorial was unveiled on 11th November 1922, it was designed by B J Wormleighton and erected by C Hebditch. A third panel holds the World War 2 additions. The fountain below carries the inscription “THESE LAID THE WORLD AWAY AND POURED OUT THE RED SWEET WINE OF YOUTH, GAVE UP THE YEARS TO BE OF WORK AND JOY AND THAT UNHOPED SERENE THAT MEN CALL AGE” which is a line from The Dead by Rupert Brooke. There is an additional plaque from 2002 dedicated to Stanley Hollis who was the only person to be awarded the Victoria Cross on D-Day 6th June 1944. The Captain Cook is a little lonely at the moment, stuck out in the partially redeveloped St Hildas area of Middlesbrough it closed in 2010. The pub is said to date from around 1840 and was designed by Robert Moore. The current facade is dated 1893 and features the Vaux breweries blackbird motif. Theres also a nice set of tiles showing a row of local cottages. Update : Looks like this was incomplete on my first visit as a dog has been added looking at the mermans fish. I have previously covered some of the Ironstone Reminders around Lingdale, but since that post in 2009 some additional items have appeared such as this plaque. 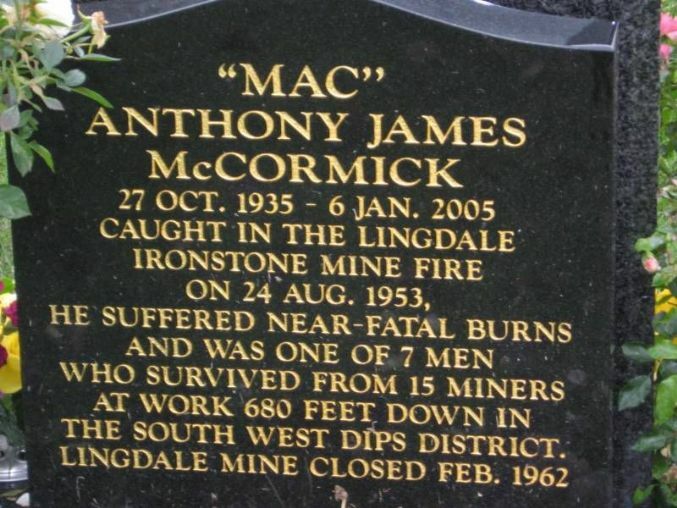 7 of the 15 men in the explosion survived and I recently saw the grave of Anthony McCormick who was 18 at the time. 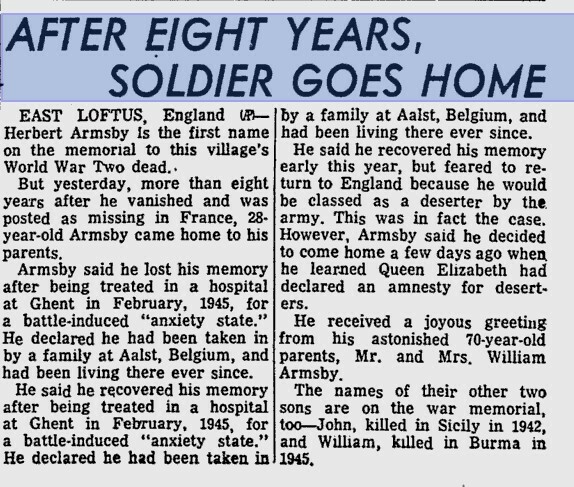 His grave in Redcar cemetary records the event. The 1250 Ton Testing Machine in this building was used by Dorman Long to test the girders for the Sydney Harbour Bridge amongst many others. The largest testing house in the UK holds Lloyds approval to undertake tensile and compressive testing up to 1250 tons. Its 50ft long bed can accept specimens 30ft wide and up to 4ft deep. The recent manufacture of a 1.6 mechanical advantage lever assembly for the test machine now allows tensile testing of 2000 Ton to be carried out.